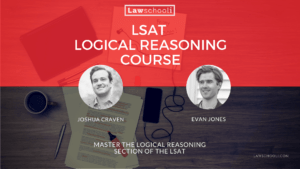 If you are having trouble with logical reasoning point at issue questions (also called “disagreement” or “identify the disagreement” questions), you are likely getting distracted too much by thinking about argument structure, or you are falling for crafty wrong answers. We can help you. In point at issue questions, you have two arguments that intersect, two authors who disagree on something. You have to figure out what exactly they disagree over. 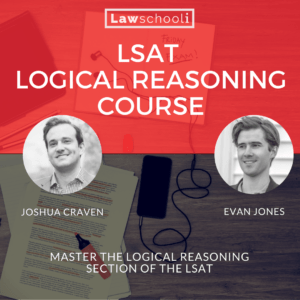 This sounds easy, but the LSAT lays a lot of traps. Your main task in doing these questions is to identify what the two speakers overlap on. The right answer is going to be something they disagree on, everything else isn’t. I know that sounds obvious, but as a tutor the biggest thing I saw on these was students picking an answer that one of the speakers doesn’t even address. We can’t know if someone is disagreeing with something if they don’t even address it! I think students walk in to this big trap because they try to think about what each author is trying to saying, their main point, and try to mix those two main points together into some sort of disagreement. This isn’t cooking though. You have to simply identify one concrete thing that these two disagree over. It’s not going to always be each author’s main point — in fact, it’s very likely not (that would be too easy). Don’t think about it like you are weighing two equal arguments or anything like that. Think instead about what the second argument says in response to the first. There will be overlap. 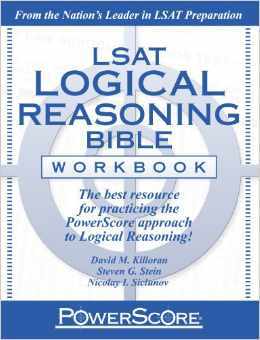 Definitely check out your Logical Reasoning Bible for help with these, as is works through the process of solving these with some real example problems. It’s useful to go into the answer choices with a good prephrase already in hand. This will help you avoid getting distracted by wrong answer choices. This prephrase is your own interpretation about what speaker B disagrees with Speaker A about. Speaker B will not necessarily disagree with Speaker A’s main point (conclusion). In fact, he will more commonly disagree with just one premise of Speaker A’s argument or the logic used to arrive at the conclusion. Speaker B will not often use exactly the same language as Speaker A to disagree with the point. That would make the problem too easy. Whereas speaker A might say, “algae-farming is carbon neutral”, speaker B might say that ‘algae-farming causes a net gain of atmospheric carbon, as more efficient carbon removing organisms are displaced when developing the land for this use.” There will be some challenging language. You have to hack through it. Topic discussed by one of the speakers but not the other. Something that they actually agree on. Something totally unrelated to the two arguments. These usually alter either of the passage author’s arguments in some subtle way so that it looks like it’s something they discussed, but it isn’t. Generally the speakers disagree at the level of least specificity. Avoid answers that make them commit to more than they did. This last one is the really tricky one. Look for little changes to language that distort their actual positions. Also, catch yourself if you are trying to think “okay, how would Speaker B feel about this based on what he has said”. You don’t want to put words in their mouths, so to speak, or you’ll get yourself into trouble. Identify what they did actually talk about, not how you think they would feel about something. To see these questions in action, check out the aforementioned Logical Reasoning Bible, or drill this problem type in the Logical Reasoning Bible Workbook. If there is some LR problem type you are having issues with. Let us know in the comments. We are happy to do a write up on strategy for that question type. I am having a heck of a time with ‘weakens EXCEPT’ problems as I close in on the June LSAT. I know that it should be simpler than I am making it, but I get incredibly hung up and am now having anxiety just over seeing them because I recognize the weakness. Do you have any pointers that could help out? This is a great and thorough explanation of this type of question! Do you have one for the “flaw” type question? It would be awesome! I’ll definitely do that within the next couple weeks. I might have to break it into a couple posts because that’s a huge topic.